So, it’s been about a week since I decided to go for Ironman. I’ve gotten back on the bike, logged a couple of quality rides and even threw down a pretty speedy 51 miles on Sunday. Took Monday off, then ran Tuesday, rode Wednesday and ran again this morning. Foot is feeling fine and dandy. 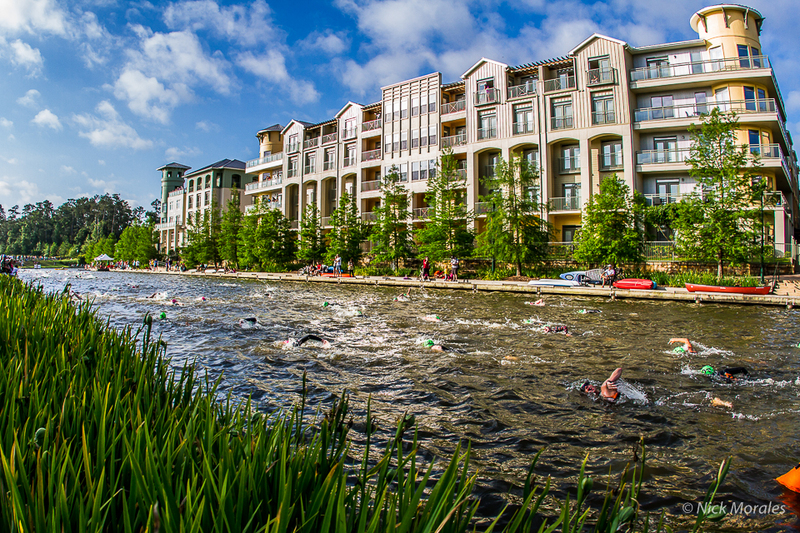 So without any further complications and a little bit of good luck for a change, we should be looking pretty good by the end of September 32 weeks away from Race Day in the Woodlands. 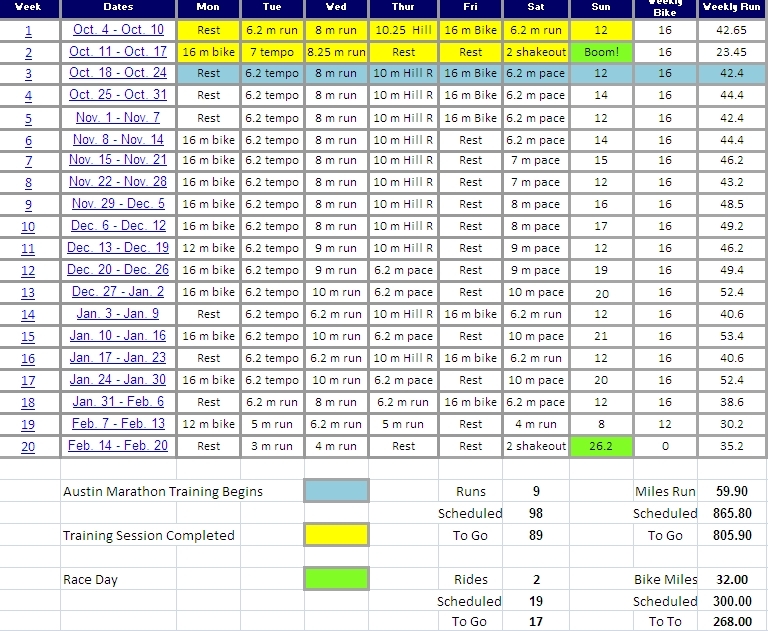 Sounds like a ridiculously long time to prepare for something – and it truly is, but the first 6 weeks of that period will really be about catching my swim back up to my bike and run. 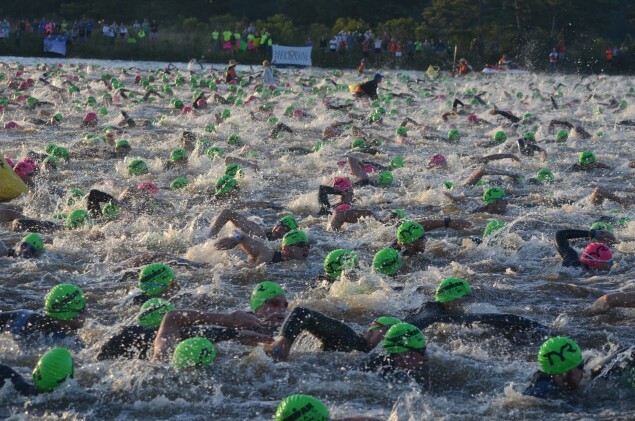 For half-ironman (1,931 Meters) or 1.2 miles, we were actually swimming closer to 3,000 on our long endurance swims. I’m an over-distance guy when it comes to races that require you to “hammer” so to speak. If I’m really racing a half-marathon, I want to be training up to 18 miles in my long runs so that the 13.1 on race day is a distance that had been covered multiple times. Then it is just a matter of racing at the proper intensity level and adjusting down training pace of say 7:15 min./mile to 6:18 min./mile on race day. The added endurance helps me hold pace late in the half-marathon when “one mile to go” doesn’t really feel like a big deal. I did the same thing with Half-Ironman training, knowing I “only” had to swim 1.2 miles, bike 56 and run 13.1 I was training at distances longer than I would have to cover on race day. For Ironman however, much like marathon training – over-distance is not a luxury I will have. There are a few reasons why Iron Man Triathletes only ride 100 milers and run 18-20 as their long run. 1. Time. There are only so many hours in the day/week to train. Prioritization becomes the key. 2. Injury. It is one thing to be monitoring your run mileage during marathon training, but add in two more disciplines and you have to be very smart with your overall load. 3. Necessity. Just as it is not necessary to run 26.2 miles at a time when training for a marathon – it is not necessary for Ironman either. We will be capping our swims in that 3,000 – 3,500 meter area. Perhaps one or two open water 2.4 mile swims just to build the confidence as everyone knows this is the weakest arrow in my quiver. 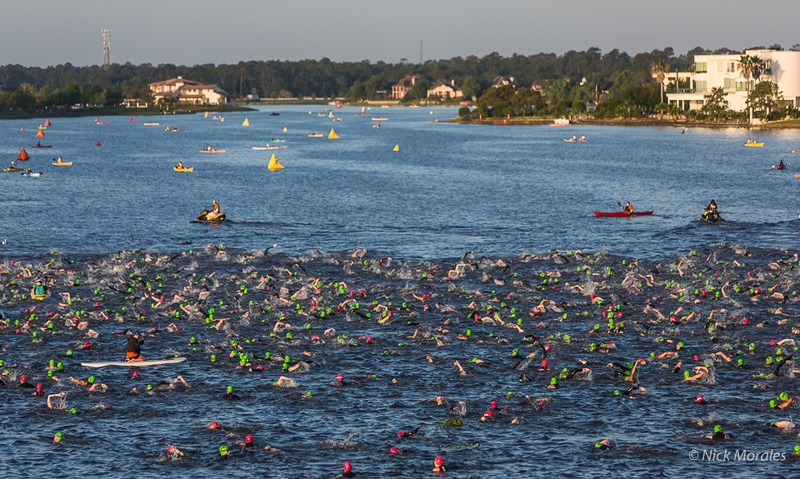 Speed will not be important for my swim, but knowing that I have that 2.4 miles in me where when I get on the bike, it feels like the swim never happened – will be key to my race. 1:20-1:25 on race day and we’ll be over the moon happy. 1:30 or so and our race will still be right on target. Nothing crazy – just get out of the water. If over the winter my swim technique, body position and times improve to the point where we can push harder in the water – great. But honestly, I’m investing where I can get the most bang for my buck. When I am fit, healthy and trained properly – I can go out and throw down a 3:15 marathon without too much difficulty. A 3:10 with a little bit of good luck and weather and even a 3:05 on a good day. 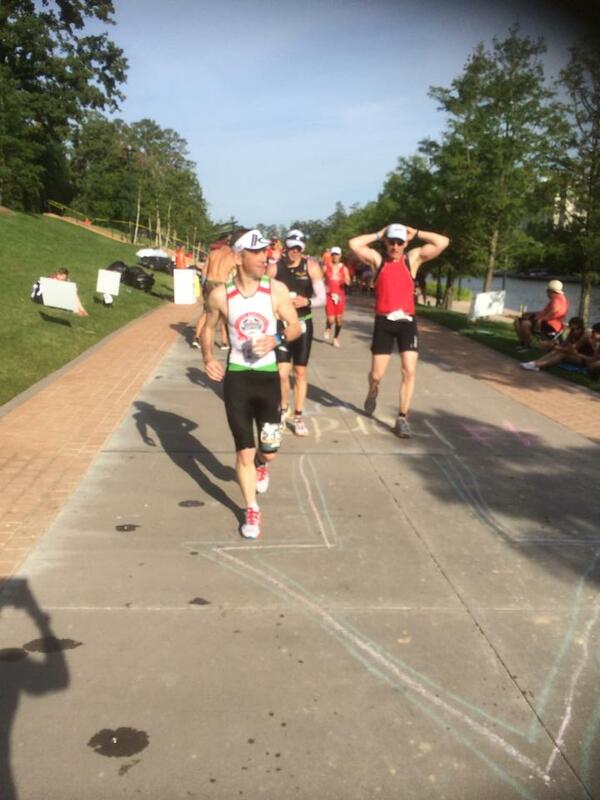 For Ironman, we are going to be looking to run off the bike somewhere around the 3:45 to 3:55 range. Again, faster on race day if we get good weather – wonderful. But sub 4 hours is going to be where we live and not too many 1st time amateur Iron Man hopefuls throw down that kind of run. We’ll be just fine. The Bike however is a different story. It’s one thing to throw down that 2:38 bike in Kerrville last Fall, but Can I get off the Bike at Ironman TX in 5:30 to 5:40 and still have enough left in the tank for the run? That is where our race is going to come together or not. There is no such thing as a strong Ironman Bike if your run is wasted. Some oversimplified conversions out there say, Double your Half IM time and add :40 minutes which would give us a 10:52:00. It is going to be quite a bit hotter more than likely down in Houston than it was in Kerrville and of course the weather and nutrition is going to play a major role on race day. But something between 11:10 and 11:30 seems like it is reasonable. Better to leave 15 minutes on the clock come race day and not end up walking the marathon at the end, than to push the envelope and try to lay down a near-perfect Ironman in our first (and last) attempt at the distance. 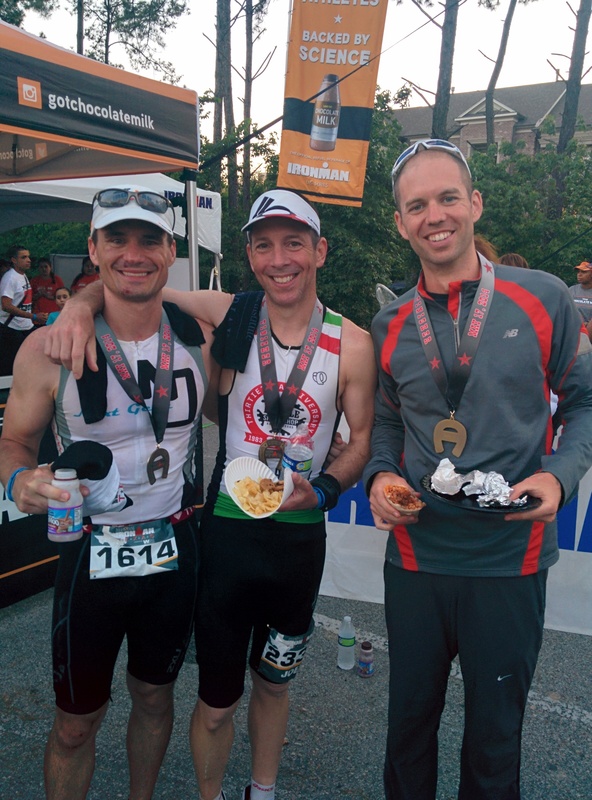 In the end – we actually are racing for a finisher’s medal for the first time since 2006. 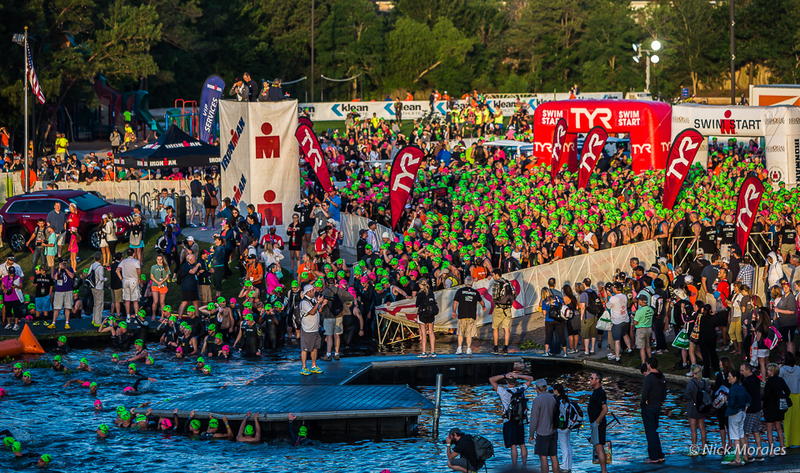 It is a great feeling – in some ways I will have less pressure on me at Ironman than I have in New York, Boston X2 and quite a few other events. Just have to get out of that water ….